With the holidays approaching, I have been in full planning mode. 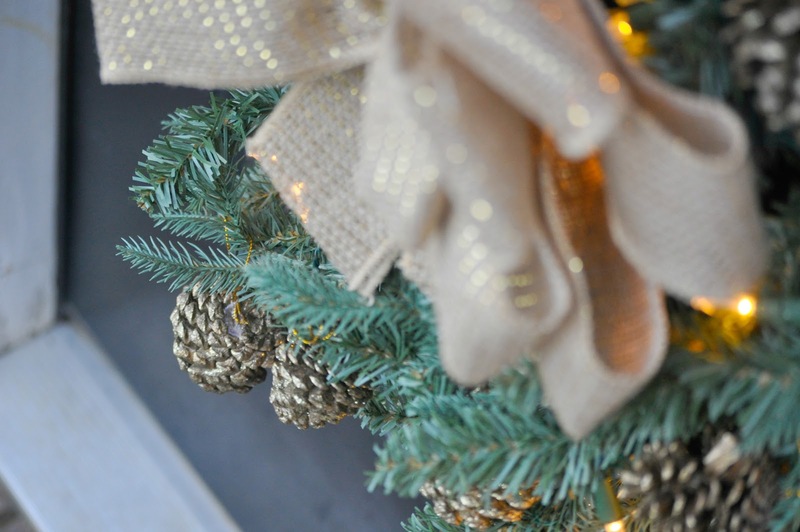 I have been looking for ways to create neutral and non- traditional color pallets into my holiday décor, while keeping in mind my busy schedule. 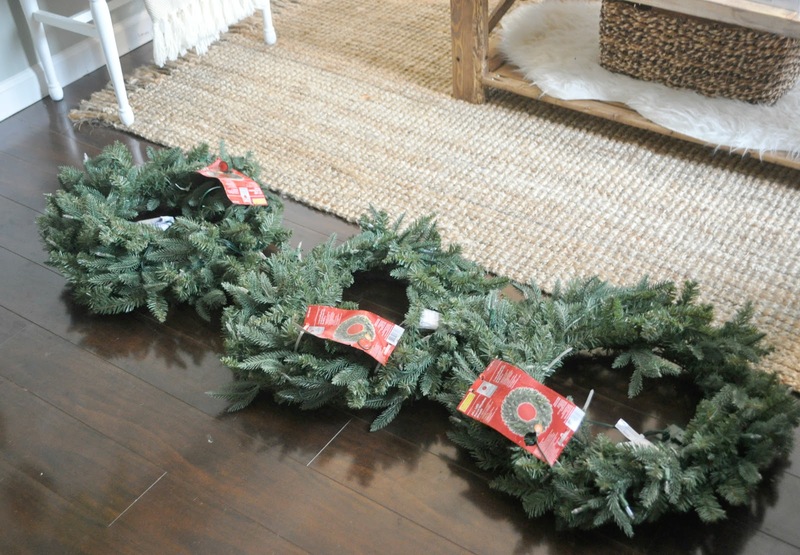 I teamed up with the Home Depot for their DIY Virtual Party and I made this super easy DIY Christmas Wreath Trio with simple materials purchased from The Home Depot, and you can too with their DIY Christmas Wreath Trio workshop! You can register here http://thd.co/1LYMUbN to attend a workshop in your local area on November 21. Haven’t attended one of The Home Depot workshops yet? Well, here is a bit of info to get you excited! I have been to several and had a blast each time. The Home Depot offers Workshops at all of their locations for do-it-yourselfers of all ages and experience levels. There are three types of workshops offered – Do-It-Yourself (DIY), Do-It-Herself (DIH) and Kids. At the workshops customers can learn how to build décor projects, how to make easy home repairs and how to operate tools through demonstrations and step-by-step instructions. Visit http://workshops.homedepot.com to learn more. 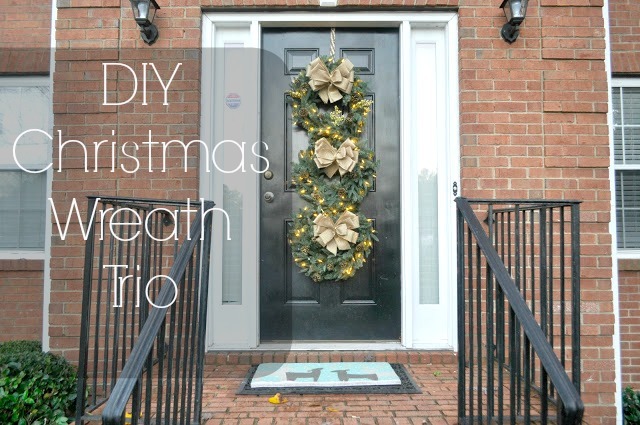 I created my DIY Christmas Wreath Trio using three Home Accents Holiday 24in. LED Pre-Lit Meadow Wreaths. Once I got them home, I fluffed them out a bit, as they tend to flatten while hung in the store. No big deal… they are flexible and easy to manipulate. 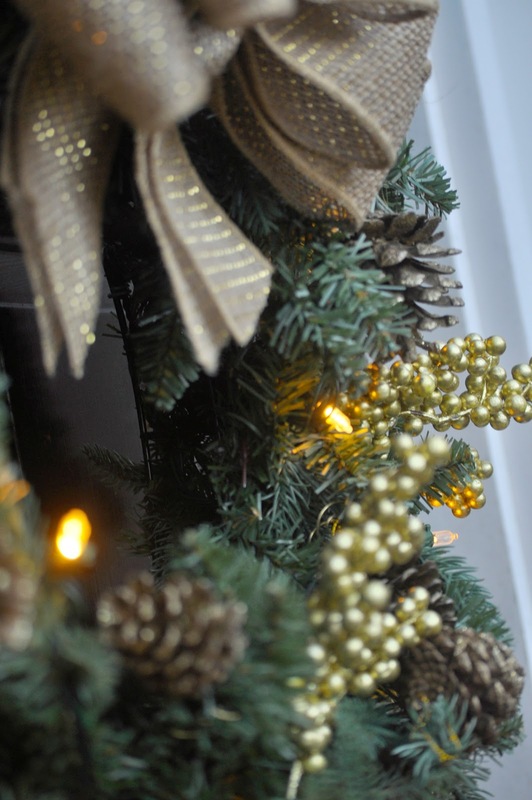 To customize my wreath trio and incorporate the natural and neutral elements I long for in my holiday décor, I opted to keep my design simple, with a touch of glitz by adding the Home Accents Holiday 48-Pack Gold Pinecones and two Home Accents Holiday 20 in. Decorative Spray. 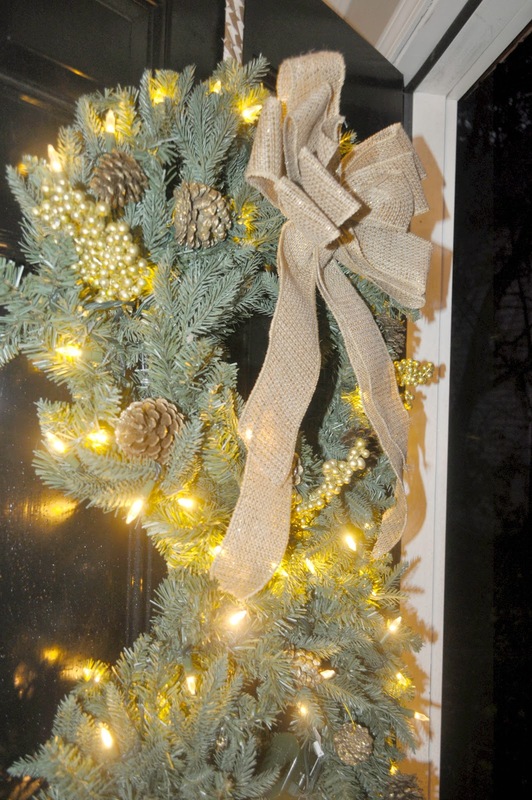 For my decorative bow, I used the Home Accents Holiday Handmade Designer Bow in a gold and burlap material. I attached my wreaths together using Hobby Wire. I just love how the lights on my pre-lit wreath sparkle and add warmth, plus saved me some time by not having to add the lights myself! 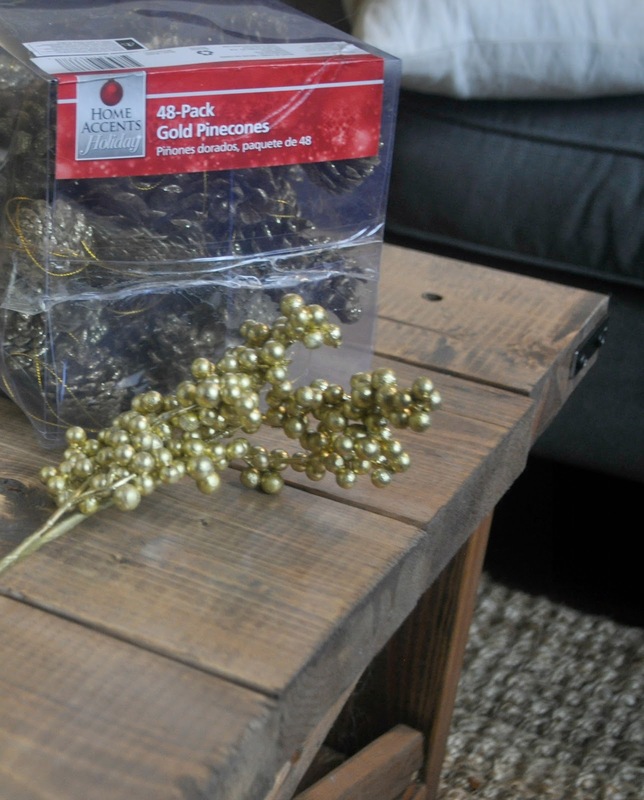 I also love how the pinecones add natural elements and the gold spray add sparkle. Even without the lights, the wreath is still beautiful. The Home Accents Holiday 24in. LED Pre-Lit Meadow Wreath comes with a battery operated timer with 6 hours ON/18 hours OF, again making less work for me. I can set the timer and go. Now that we have less sunlight during the day, it’s nice to come home to a bit of warm glimmer, reminding me that the holidays are close. All of the materials used in my wreath can be purchased at The Home Depot. Now… are you pumped and ready to make your own? Don’t forget to register here http://thd.co/1LYMUbN to attend a workshop at your local The Home Depot store on November 21! I hope that you enjoy attending The Home Depot Christmas Wreath Trio Workshop in your area. Be sure to check out our other versions of the Christmas Wreath Trios from other bloggers participating in the Virtual Workshop Party. Their wreaths are awesome! Thanks so much for stopping by, until next time! 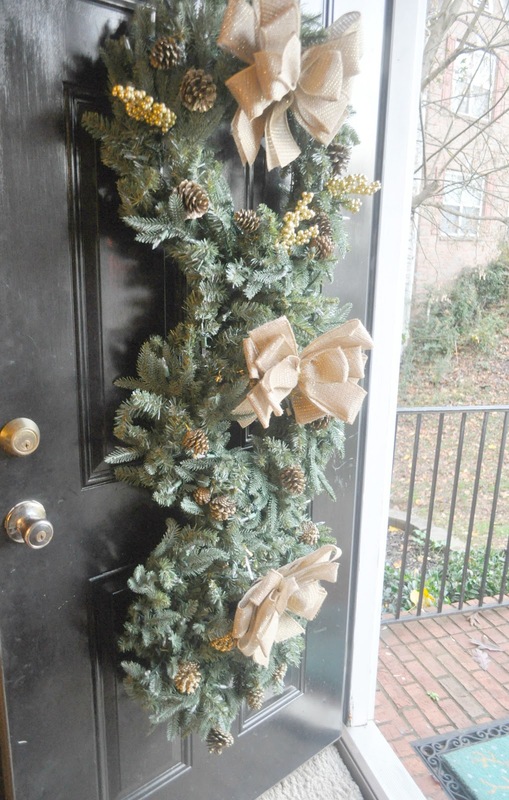 Love your pretty Wreaths on your front door!! The bows look so good! Super cute and classy! I have the same wreaths 🙂 I love that there are no cords hanging off of them, it's great. And your gold sections for accessories are perfect! Thanks Jessica. Loved yours as well! I love the burlap ribbons – this is lovely. And I'm a sucker for the lights, too! Thank you Kim. Once I saw the lights, i knew i had to have these. Looks great Erin! I will have to try to make one myself soon! Love the color selection! 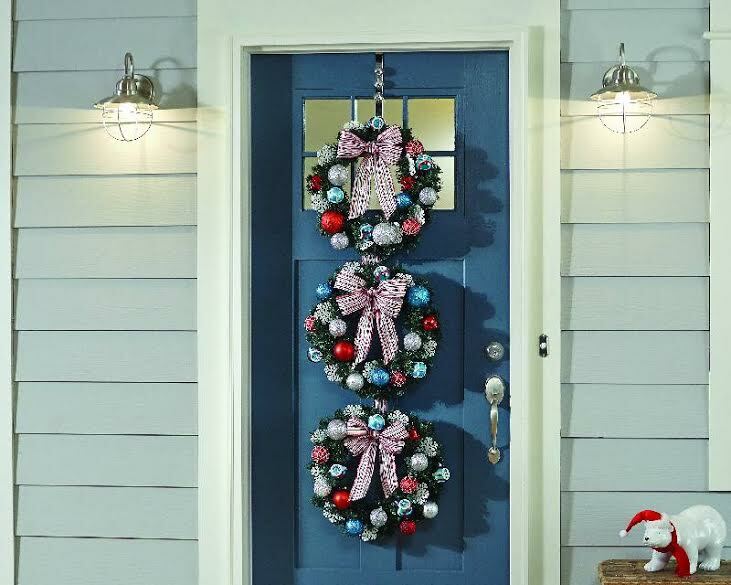 Your front door was totally made for a wreath trio! 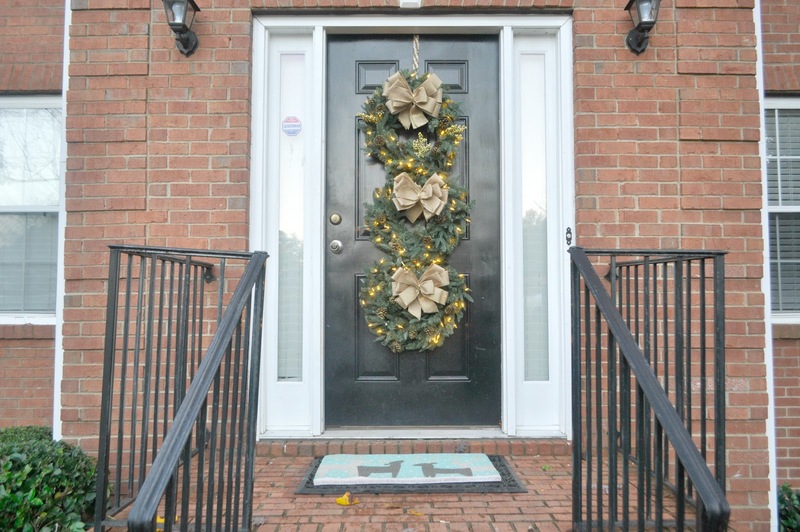 Love your wreaths, Erin! Your bows really stand out. They're so pretty! 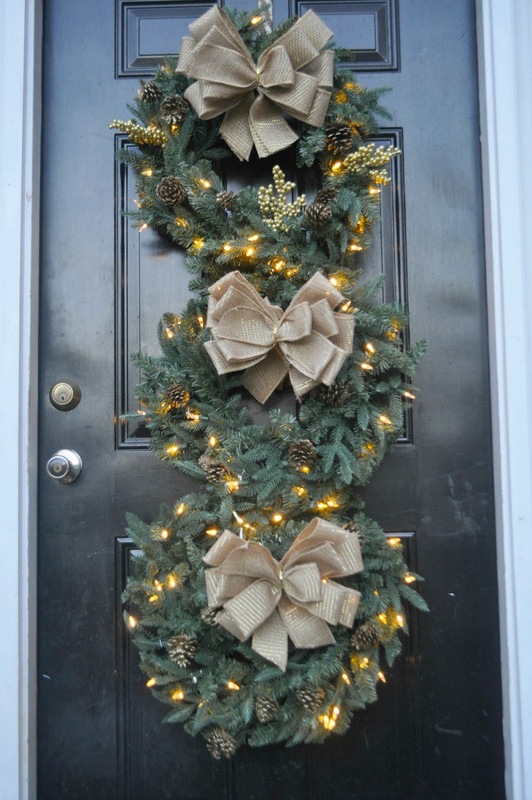 I love this gold and burlap against your black door! It's so beautiful! Looks great Erin! Love the bows and the lights! Thank you so much, Darnetha!! The perfect addition to your front door! I love the burlap bows! Thank you Cristina! I appreciate you taking time to leave a comment.